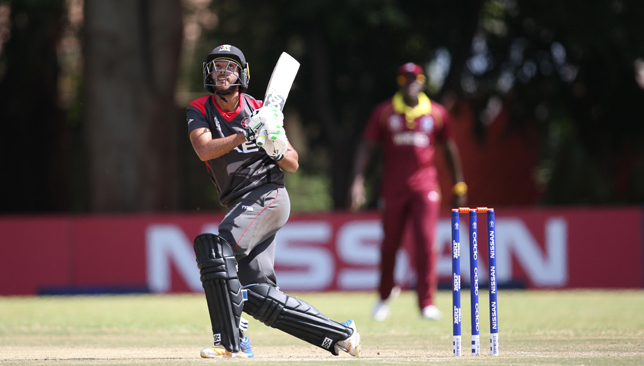 UAE internationals Rohan Mustafa and Chirag Suri are aiming to make a big impact over the next 11 days when they play in Nepal’s T20 Pokhara Premier League (PPL). The pair flew out to the south Asian country on Wednesday after they both signed for Butwal Blasters, who open their campaign against Chitwan Rhinos on Saturday. The six-team competition sees some of Nepal’s leading national players in action including Paras Khadka and spin sensation Sandeep Lamichhane as well as overseas cricketers. For Suri, it will be his second overseas T20 event having been part of the 2017 IPL with Gujarat Lions. Although the PPL is not as high-profile as the IPL, Suri is adamant it will develop his all-round game. “I’m really excited to play and there was some interest from other teams before I signed for Butwal Blasters,” said the 23-year-old batsman. “My obvious target would be to do as much as I can and help the team go as far as possible by scoring as many runs. “It’s always a good learning experience as these wickets usually tend to favour the spinners. It will gear me up nicely when I play in Dubai and other matches when we go on tour with the UAE. Mustafa is no stranger to conditions in Nepal, having been part of the title-winning Dhangadhi Premier League campaign with Dhangadhi Team Chauraha in April. Playing under captain Sompal Kami at Dhangadhi Team Chauraha, Mustafa revealed the Nepalese all-rounder played a big role in securing a deal with Blasters. Imad Wasim could not have asked for a better return to international cricket as his three wickets saw Pakistan thrash a sorry Australia in the opening match of the T20 series on Wednesday. The all-rounder made up for his duck by producing the goods with the ball as he tormented the Australian batsmen from the very first delivery. Defending 155 at the Sheikh Zayed Stadium in Abu Dhabi, the Australians finished nowhere near their target as they were all out for 89 in a crushing 66-run defeat. The UAE has not been kind to the Australians in T20s, as this measly effort was their joint third-lowest total – matching their innings from the 2012 series against Pakistan in Dubai. But Wednesday’s performance was just another example of why Pakistan are the top-ranked team in T20s. While Faheem Ashraf finished with 2-10, it was Wasim (3-20) who played the instrumental role that set the platform for a crushing victory. A fit-again Wasim needed just six deliveries to prove why his recall to the national team after a year away was justified. Opening with the ball, the left-arm spinner rattled the stumps of Aaron Finch (0) before D’Arcy Short got the same treatment when he edged on. It left the tourists in big trouble at 5-2 and it went from bad to worse for Finch’s side. Glenn Maxwell became Ashraf’s first victim while Ben McDermott was run-out in the same over. 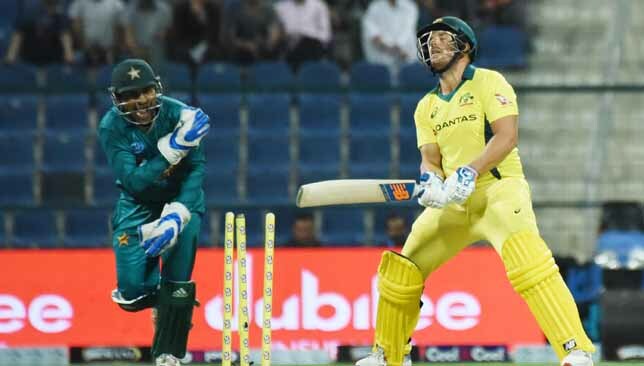 Yet Wasim looked dangerous every time he had the ball and was ultimately rewarded with his third when Alex Carey edged behind to Sarfraz Ahmed. 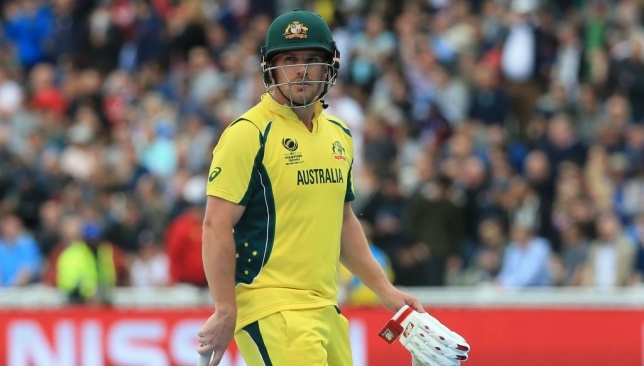 With the Aussies reeling at 22-5 after four overs, they did battle briefly when tail-enders Nathan Coulter-Nile and Ashton Agar put on 38 runs for seventh wicket. But it was only a matter of time before Pakistan claimed victory as impressive teenage seamer Shaheen Afridi (2-23) and 20-year-old leg-spinner Shadab Khan (1-16) wrapped up the win in 16.5 overs. Earlier, the start was delayed by 15 minutes due to a floodlight failure but as soon as the first ball was bowled, the Pakistan openers made a promising start. Fakhar Zaman and Babar Azam, who both fared strongly in the second Test, laid the groundwork for their competitive total. The pair had hit a blistering 32 runs in the first four overs before Zaman fell cheaply to Billy Stanlake’s bouncer. The tourists were made to wait to get their second wicket after being frustrated by Mohammad Hafeez and Azam. It was left to an unlikely man to break the 73-run stand with batsman Short stepping up with the ball. The 28-year-old had never taken a wicket in his three T20I innings as a slow left-armer, and saw Hafeez mistime his shot to present an easy catch for McDermott. At 105-2 with seven overs to go and still wickets in hand, Pakistan would have fancied their chances of posting an imposing total. But Australia had other ideas as pacers Billy Stanlake and Andrew Tye took charge to stun the hosts’ batsmen. Asif Ali (2), Hussain Talat (9), Faheem (0), Sarfraz (0) and Shadab didn’t even have time to settle at the crease as Pakistan lost six wickets for 28 runs. While Azam went on to finish with 68, Hasan Ali showed he can also be handy with the bat. The left-armer struck a vital eight-ball 17 including two fours and a six in the final over off Nathan Coulter-Nile. BRIEF SCORES: Pakistan 155-8, 20 overs (Babar Azam 68, Andrew Tye 3-24, Billy Stanlake 3-21) beat Australia 89 (Nathan Coulter-Nile 34, Imad Wasim 3-20) by 66 runs. After meeting in the Test series, Australia and Pakistan turn their focus to the shortest format of the game with the T20 series. Abu Dhabi’s Sheikh Zayed Stadium is the venue for the opening game of the three-match series with Pakistan looking to continue their excellent form in the format. They are top of the rankings with the Australians in third. Imad Wasim returns to the starting XI after almost a year out following impressive domestic displays. There is no room for Shoaib Malik, who only returned to the capital in the morning after being with his pregnant wife in Pakistan. The Australians, who are bowling first after winning the toss, stick to the same starting XI which beat the UAE by seven wickets in Monday’s match. Pakistan began strongly with Babar Azam and Fakhar Zaman in good form. The pair put on 32 but Billy Stanlake dismissed Zaman for 14 runs. But Australia were unable to build on their first wicket, with Mohammad Hafeez and Babar Azam bringing up an unbeaten 50-run stand for the second wicket. D’Arcy Short then broke the partnership when Hafeez mistimed his shot to present a simple catch for Ben McDermott to see his 39-run knock come to an end. The Australians were again celebrating when Adam Zampa trapped Asif Ali for LBW with just two runs to his name. With five overs to go, Azam went on to score his half-century. Azam is still at the crease but Pakistan have lost four wickets in a short span of time. Asif Ali (2), Hussain Talat (9), Sarfraz Ahmed (0), and Faheem Ashraf (0) all departed with the hosts on 133-7. Australia require 156 for victory after Babar Azam finished unbeaten on 68 as Pakistan reached 155-8. Billy Stanlake and Andrew Tye took three wickets each. In their chase, the tourists got off to a poor start with Aaron Finch out for a duck off Imad Wasim. The all-rounder was again on target when he got D’Arcy Short for four. Faheem Ashraf piled on more misery for the tourists with Glenn Maxwell out for 2 before Ben McDermott was run-out in the same over to become the fourth wicket to fall. Imad Wasim then got Alex Carey before Chris Lynn became Ashraf’s second victim of the game. With five overs gone, Australia are 22-6. It was only a matter of time before Pakistan wrapped up victory as Shaheen Afridi and Shadab Khan claimed the remaining wickets to seal a comprehensive win.